Later, I learned that Best Actress winner Cate Blanchett used her time in the Oscar spotlight to highlight the underrepresentation of women in the film industry, chiding studio executives who “still foolishly clinging to the idea that female films with women at the center are niche experiences” when women make up 52% of the movie-going audience in the United States. Women accounted for only 6 percent of directors, 10 percent of writers, 15 percent of executive producers, 17 percent of editors and 3 percent of cinematographers in 2013. The percentage of women directing, writing, producing, editing and shooting films has declined since 1998. Women made up only 15 percent of protagonists and 30 percent of speaking characters in the top 100 grossing domestic films of 2013. Even in Oscar nominated films, women get less screen time, according to another recent study. This year’s lead actors average 85 minutes on screen, but lead actresses average only 57 minutes. Last year’s results were even more imbalanced: nominated male stars averaged 100 minutes on screen to the lead actresses’ 49 minutes. The lack of women on screen and behind the camera is nothing new. Part of the reason I wrote A Sort of Homecoming, a coming-of-age drama set in the world of high school debate, was that I felt my experience wasn’t reflected in the movies I saw on screen. My story, told from a woman’s point of view, with mostly female leads, was not one likely to be funded by traditional Hollywood sources. After shopping the award-winning script around L.A. through the usual channels, I realized I had no choice but to make the movie myself. 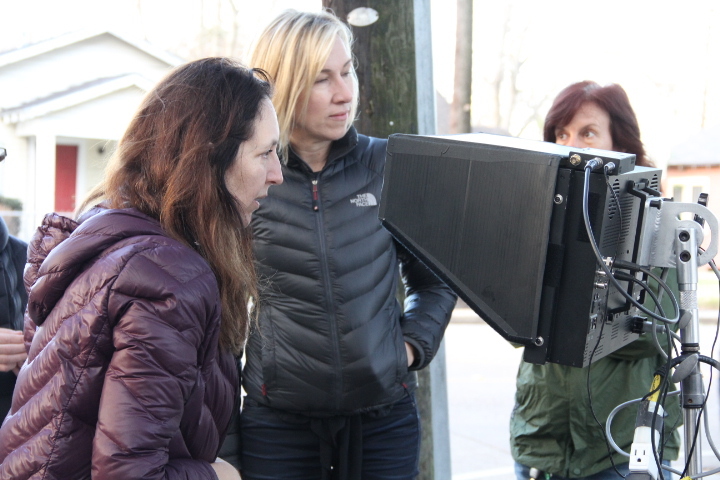 When it came time to select a director for the film, we reached out to the Alliance of Women Directors and interviewed dozens of qualified candidates. We chose Maria Burton, an experienced director with four features under her belt, who then brought in Arlene Nelson as director of photography and Lori Sugar as casting director. This concentration of female talent behind the camera is a rarity in the industry, but it occurs far more often when films are directed by women. Now that the filming is completed, we face the daunting task of getting our project funded, marketed, distributed and displayed on movie screens across the country – on our own and without Hollywood support. We’re embracing alternative funding sources, like an Indiegogo campaign, and we’re working like crazy to create opportunities for our film to find an audience. We are working to make change, one film at a time. About the author: Lynn Reed is a screenwriter and independent film producer. Previously she was a web designer and strategist for Democratic political campaigns and policy organizations, including Clinton-Gore ’96. Lynn lives in Maine with her husband, daughter and an incredibly old beagle.